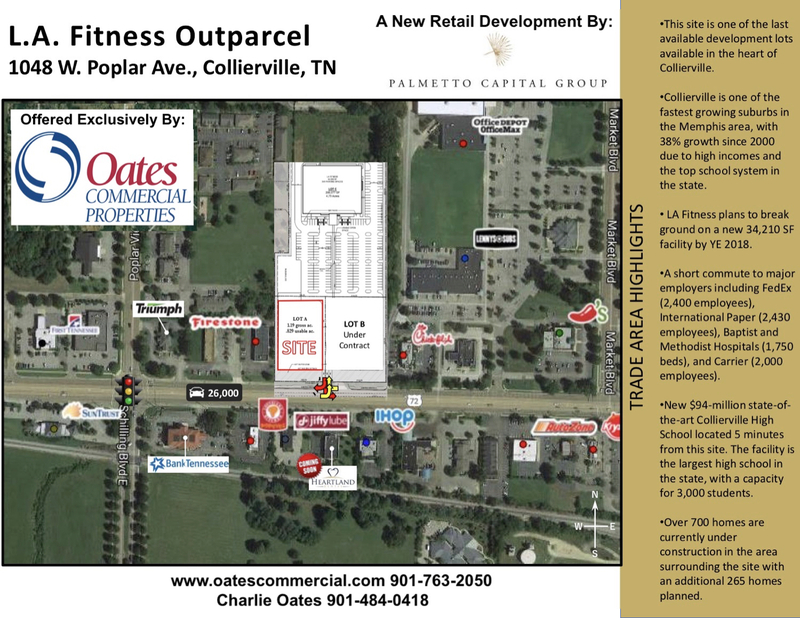 This site is one of the last available development lots available in the heart of Collierville. 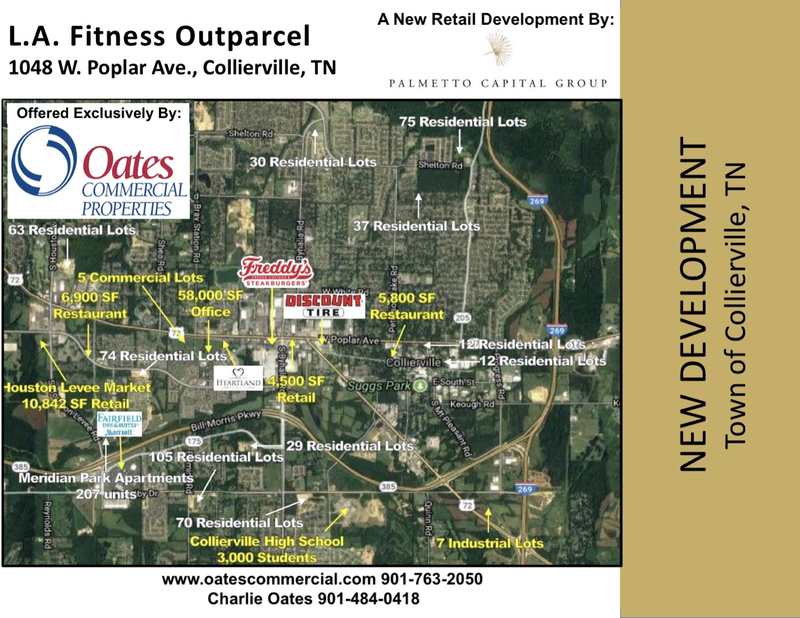 Collierville IS one of the fastest growing suburbs in the Memphis area, With 38% growth since 2000 due to high Incomes and the top school system In the state. 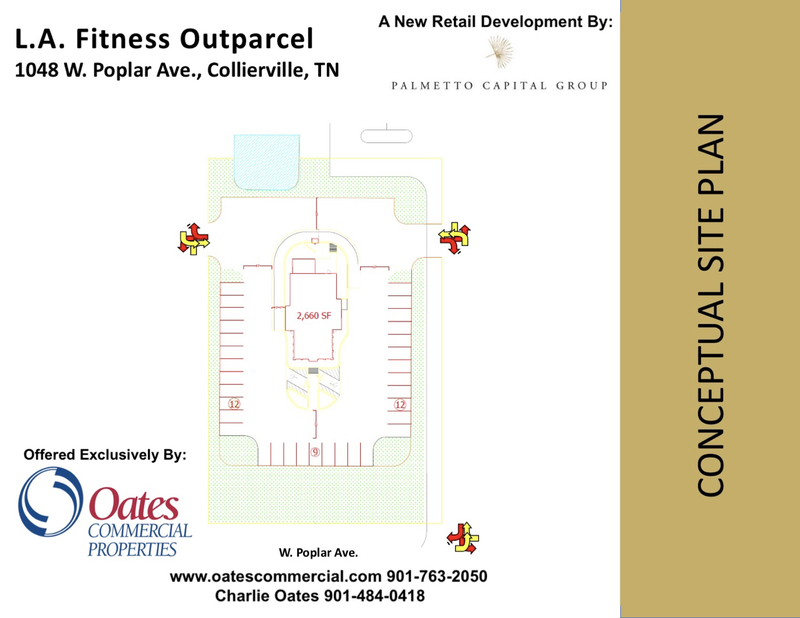 LA Fitness plans to break ground on a new 34,210 SF facility by VE 2018. 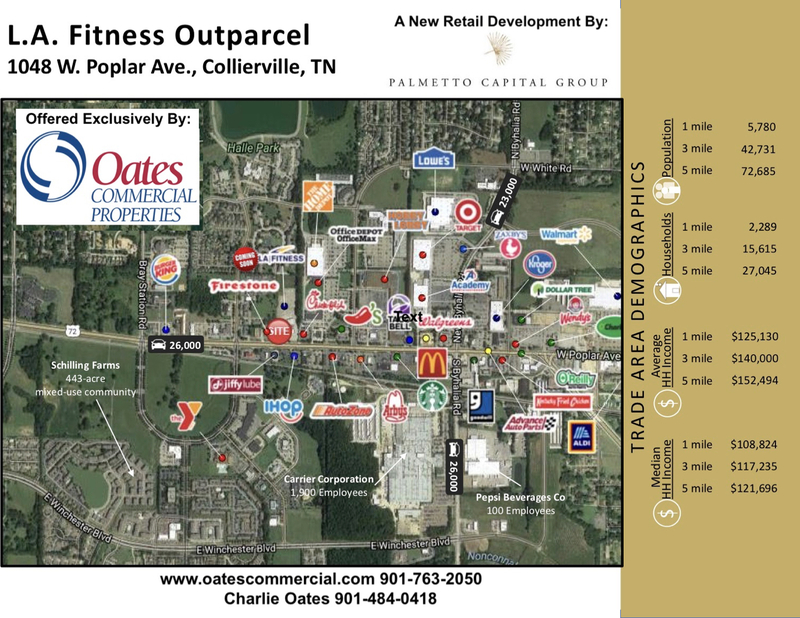 A short commute to major employers Including FedEx (2,400 employees), International Paper [2,430 employees), Baptist and Methodist Hospitals [1,750 beds), and Carrier (2,000 employees). 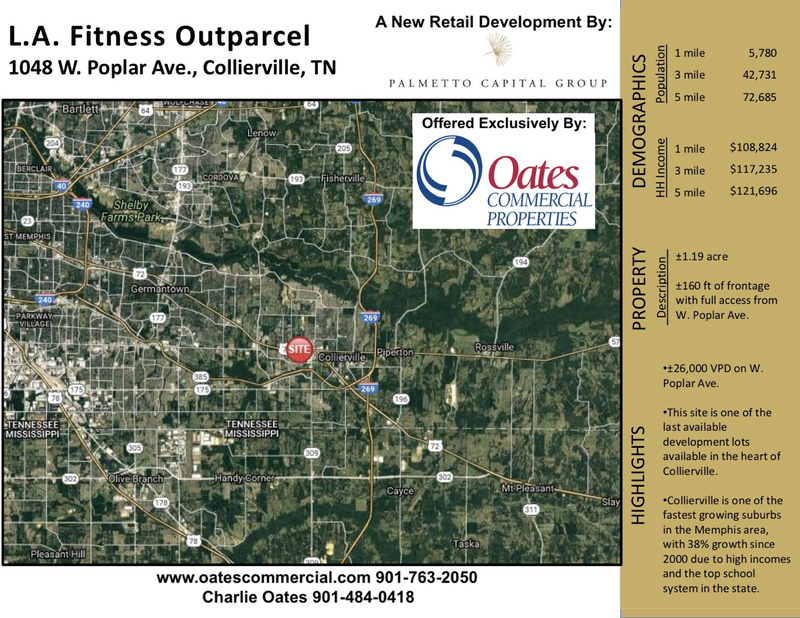 New $94-million state-of- the-art Collierville High School located 5 minutes from this site. The facility Is the largest high school in the state, with a capacity for 3,000 students. Over 700 homes are currently under construction In the area surrounding the site with an additional 265 homes planned.